“Madagascar,” the opening production of this, the Chester Theatre Company’s 25th Anniversary Season, is an ideal choice for this adventurous group, always ready to tackle the unique demands of a challenging work. In J. T. Rogers “Madagascar” they have met their challenge head on with an enormously talented cast of three under the astute direction of James Warwick. The story opens in a hotel room overlooking the Spanish steps, one of Rome’s most romantic settings. The bedroom seen is devoid of romance. Almost barren, illuminated by a single light bulb, stripped of whatever beauty or charm it may once have had, it is a perfect backdrop for memories, and that is what the audience is given. A young man, Paul, sometimes called Gideon, has mysteriously disappeared, leaving behind his devoted twin sister, his adoring mother, and a man who had once been his deceased father’s best friend, as well as his mother’s lover. It is through a series of overlapping monologues, each delivered from a different time frame by these three, that the audience learns of the powerful hold that this missing character has on the remaining figures. 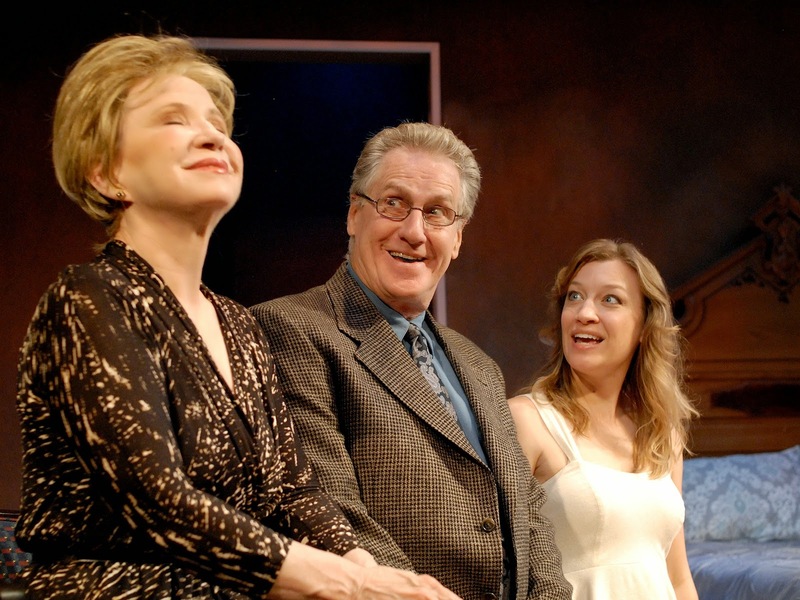 The role of the mother, Lillian, brilliantly played by Debra Jo Rupp, is charming, elegant, and sophisticated. Kim Stauffer, as the daughter June, is at times vivacious and melancholy. Nathan, portrayed by Paul O’Brien, completes the trio as the former friend and lover, now a frustrated economist living with guilt and regrets. “Madagascar” is a skillfully written and intriguing memory play, at moments reminiscent of some of the early work of the late Tennessee Williams, as each character recalls their associations with Paul, the missing son/brother, who had such a profound influence on the lives of those he left behind. As produced by the Chester Theatre group, “Madagascar” is a most unusual, yet engrossing work, which leaves its audience with much to digest and rethink long after the actors have left the stage and they have left the theatre.